Award winning walker wagon aids children in moving. Includes a seat to push their favorite plush toy or doll and a convenient pocket for toy storage. 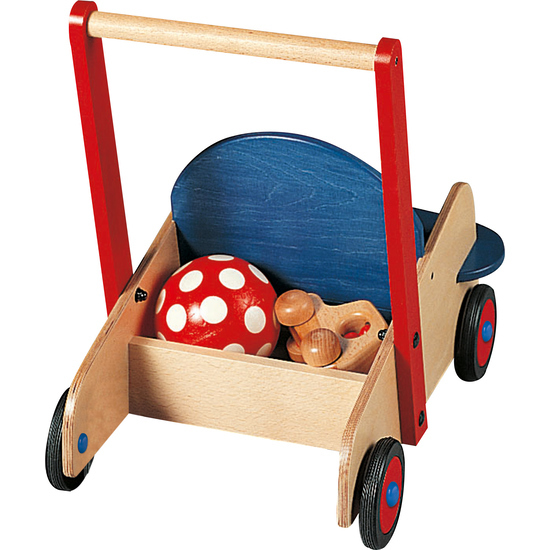 Sturdy construction, wheel treads made of silicone.